Tillies - Page 2 - Orchid Board - Most Complete Orchid Forum on the web ! I have a few tillies as well. Hard part is finding ones that will stay small at a price I am willing to pay. Most of mine were the result of plant trades which is a nice "thrifty" way to go about it. I really like that - "most of mine were the result of plant trades which is a nice "thrifty" way to go about it". Truly the ultimate way to acquire plants! I was laughing to myself about: "finding ones that will stay small at a price I am willing to pay". 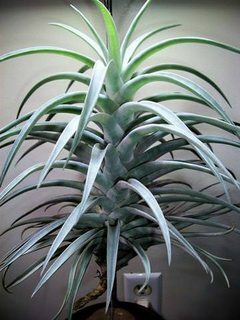 I'm a lot like you in those regards, and I am surely not going to pay big bucks for a plant that has a "made-up" and/or "fancy" name attached to it, especially as a means to justify the price. 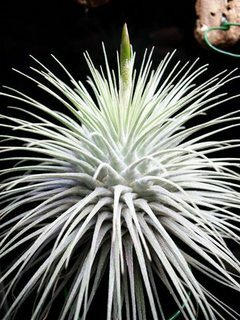 Back before all the hybrids, cultivars, and the "newest" of the new discoveries, Tillandsia were pretty much just standard species. From experience, you usually knew how large a species would get. Now a days, there are so many different forms that it will make your head swim... small form, dwarf form, miniature form, enano (a Spanish word: more or less to describe tiny, minute, dwarf, midget), large form, giant form, type 1, type 2, type 3, and the list goes on & on. 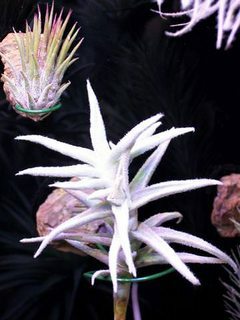 Most ionantha stay consistently small (although I've had T. ionantha 'Apretado' and T. ionantha 'Rubra' grow to around 8-9" high with diameters around 6"). Maybe that's where the 'Rubra lg. form' comes into play. A few of the pin-cushion type Tillies seem to stay fairly small also (e.g., filifolia, the true fuchsii, fuchsii v. gracillis). 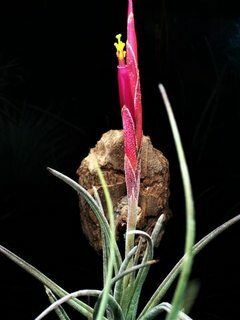 The small Tillandsia (that some consider to be miniature) are in the subgenus Diaphoranthema (e.g. crocata, capillaris, usneoides). This may be of interest - a friend of mine (we grew up together in California) still manages to wander down to Mexico and collect. He sent me a small clump of T. albida to grow out (he discovered a large colony growing at a north section of Zacatecas in the Chihuahuan Desert of Northern Mexico) and said it was the smallest 'albida' he has ever seen. I've been growing this plant indoors for 5 plus years, and it has only gained about an inch in size. Wonder if I should label the plant and call it the 'dwarf form'. Going in a completely different direction... here are a couple of T. harrisii (I usually manage to keep these around the 6-7" diameter range when mature). 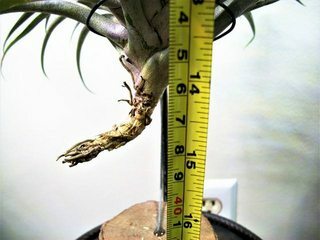 I removed 3 offsets off a mother plant around 4-5 years ago. All three of those offsets were basically in the same growing conditions. Out of the three, 2 reached about 6-7" in diameter, have already flowered, and produced offsets. The third one has not flowered and has grown quite large (15 inches plus, with a diameter around 12"). Could it be labeled "large form". I guess it's just me (and the fact that I'm more "old school"), but I really don't like the new "name games"... I yearn for the old standard names (and maybe having a description of "major/minor" thrown into the mix occasionally). They sure are pretty. I'm sure one problem is my humidity or lack there of. Shannon, many have next to no humidity for a lot of their dry winter. Then they get wet all summer long. You need to get a couple of things right with these: bright light but not too bright, plenty of water at the correct time, good air circulation, no hot nights, and picking ones that stand a chance in your situation. The ones growing in full sun grow at higher altitudes, where they won't get so hot, or on the beach, where it's breezy all the time. The ones from hot areas grow on trees with summer leaves. In winter the trees drop their leaves and the plants get more sun. They open their pores to breathe at night. If it's too hot at night, they won't open their pores, and they suffocate. They take in water with nightly dews. The best time to water them is at night, when pores are open. Mark Dimmitt soaks his overnight in the bathroom sink once a week. 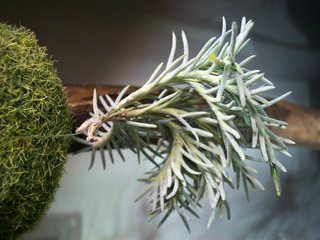 People in frost-free areas with a substantial cool-down at night, and frequent dew, can hang them on trees and not need to give any care at all. Good air circulation keeps them from rotting. Most people don't water them enough. They slowly wither away and dry up. Put yours by the kitchen sink. Every night, when you should have done the dishes, dunk the plants under water so they are wet before you go to bed. Once a week soak them in a water glass overnight. Good information, and some good points in the above post. I strongly agree with "most people don't water them enough". But, many people also over-water. Both of which can cause potential problems. It is a balancing act that is difficult to explain. Because people grow plants differently, a certain way (or method) of watering may be better than another for your particular application. Because one method proves less favorable in your situation, does that mean it is wrong? I guess what I'm trying to say is: what works for one person may not necessarily work for someone else. How to open a can of worms real quick ~ get a group of Tilly growers together and ask: "what is the best way to water, and how frequently should I water?" I'm sure the responses will vary with many different opinions (mist daily, dunk, soak, use tap water, use rain water, use only distilled water, add nutrients to your water, water during the day, water during the night, you only need high levels of humidity, etc.) What you probably will not hear ~ (I grow mine outdoors, I grow mine in a greenhouse, I grow mine indoors, I grow mine in a terrarium, I grow mine in indirect light near a window, I grow mine under shade cloth, I grow under artificial light, I grow mine under full sunlight, I live in the desert, I live in the far north, I live near the coast, I live in the tropics, etc.). Even worse, you may hear "you can't do it that way", "it's too difficult", "that's impossible", or hear the echo-units sounding off, saying: "it can't be done that way" because they heard or read about it somewhere else. When there is no right or wrong way, there is always a better way. 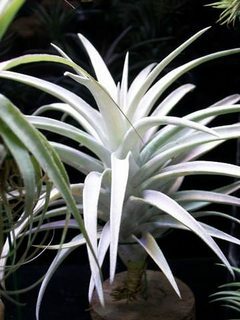 I think a better approach about watering Tillandsia would be getting to know your plant. Regardless of your watering method, by observing your plants it won't take long to figure out when your plants are hydrated and when they need a drink. Many factors come into play with watering (e.g., humidity, air & air circulation, temperature extremes/very low, very high). As I stated earlier, I believe it all boils down to "growing conditions". In "my" situation, my Tillies respond favorably (and are happy) with being soaked for several hours every 7-10 days. They stay hydrated within that 7-10 day time frame after being soaked (even with the fluctuating RH anywhere in between 15%-75%, and fluctuating temperatures of 60F-95F indoors, depending on the time of year), and my plants stay dry during that period of time (no extra misting or watering). 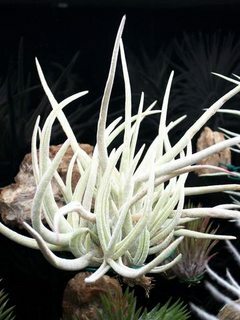 I'm sure Tillandsia grow differently in their natural habitats vs. 'non-natural habitats'. Can desert dwelling plants be grown in non-desert conditions? 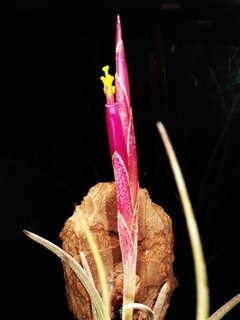 Can a tropical rainforest plant be grown in non-rainforest conditions? Can a plant that only receives dew & mist as it's water source in their natural habitat be watered and soaked in a non-natural habitat? Sure they can. Hope you can see where I'm going with all of this. Sorry about the long winded response, and I hope I don't come off as being an opinionated, abrasive beard... just trying to provide some information that may (or may not) be useful. I am often asked what I think is the most important aspect for growing Tillies. Having "fun" is number one. Although water is important, good quality (and consistent) light is also very important. I find keeping it simple, and not "over thinking it", helps out a lot. A fairly small Tilly that is easy to work with. 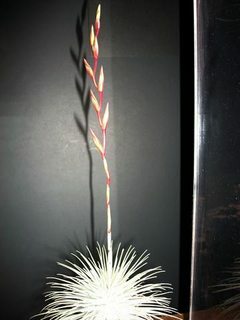 This one started throwing a spike about 3 months ago, and has just started to flower. I've been keeping this species in my collection for several years. 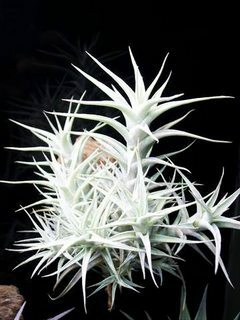 The original plant was acquired from central Mexico. 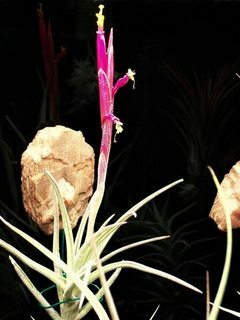 Bloom spike, floral bract, petal blades, sepal, and flowers are red in color. Last edited by wisdomseeker; 03-23-2019 at 01:01 PM.. Reason: . Beautiful plants & beautiful images! 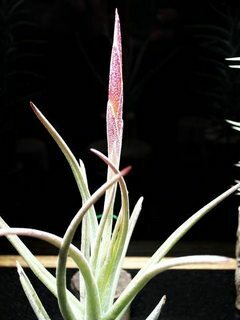 Australia boarders were closed to incoming Tillandsia in 2015 because of xylella bacteria(it attacks hardwood) it stopped about 95% of the Tillandsia market place in Australia. So what we have is all we have when it comes to variety. In Australia there is really very little variety that is in numbers to choose from. 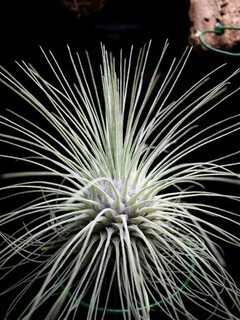 Going on-line and looking at all the Tillandsia in the US makes me wish I could import some of your offerings from the huge amount of variety available to US. 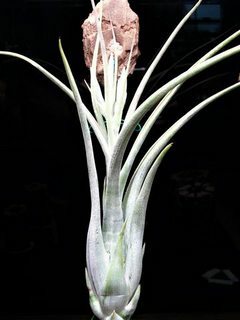 Have some hard to get Tillandsia that only seem to grow strongly here for me. 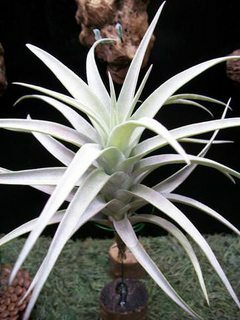 But even though Tillandsia is hard to get here I still have 61 different varieties in numbers. To get anymore different I will have to pay very high prices to get a couple of plants to grow-on with a 5 year growing plan to get any sort of numbers from them. How different it is here compared to the US when it comes to buying Tillandsia. I appreciate the kind words, kg5. Just got done checking out your thread about the 'new bush house'... very nice indeed (and well thought out)! We are very lucky in the USA, in regards to several things, including: being able to acquire a vast array of different plants fairly easy. Australia is definitely a tough country for importing plants. But, I do understand (and respect) the reasoning for this, and I firmly believe they are "on top of their game" with protecting the country. E.g. ~ "Xylella is not present in Australia but is of major concern to Australia's plant industries. If it gets into Australia it will practically be impossible to eradicate." 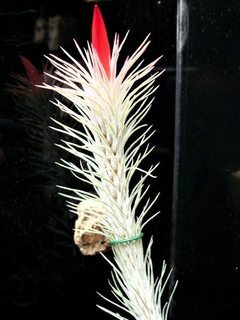 If I had to venture a guess, I would say most US Tillandsia imports are coming in from Guatemala & Brazil. Some of the other big players (countries) importing into the US are: Singapore, Thailand, Netherlands, New Zealand, Germany, and Belgium. 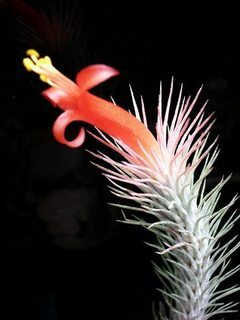 The US still has several native species of Tillandsia that grow wild witin a handful of states (especially Tillandsia usneoides, which also grows wild in the state where I reside). Although many of those native species are now protected, they can still be found in their native habitat. I've been growing indoors now for many years, as a hobbyist. I have been able to acquire many species that are not common in the market, and I have been able to keep those species going. I've also been able to acquire a few hybrids from some dedicated Tilly growers (they 'flipped my switch' ~ I really liked a couple of crosses these growers were able to produce, even though I am more of a species man). Growing indoors has allowed me to provide very controlled growing conditions and allows me to hold Mother Nature at bay, per se (weather conditions, light, pests, etc.). 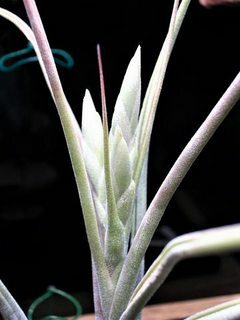 On the retail end (and also on the wholesale end) Tillandsia are easily acquired in the US of A, along with many of the "hard to find species" that are oftentimes considered to be rare. Many of those "rare" species are very time consuming and require more knowledge/effort to propagate, making it less profitable and harder to mass produce... the reason many species that are considered to be rare/hard to find, are a lot more expensive ($$$) to purchase. Mother nature can be really bad when it comes in wild fire & huge tropical storms. We live at the bottom end of the cyclone area or hurricanes as they are called in the northern hemisphere. 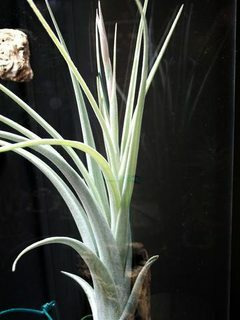 Am prepared to pack up all my Tillandsia if a big blow comes my way. Have purchased a heap of new cardboard boxes that lay flat in storage and are easy to store. We have had some bad cyclones here but it is over 20 years since we have had one. This make me nervous as a cyclone is very over due to come our way and we also live on a waterfront open to the way the wind comes from a cyclone here. 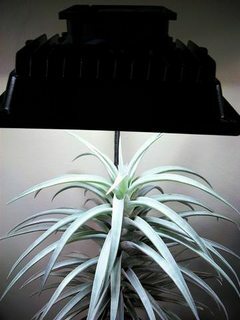 The stand out with your beautiful images is how perfect the condition your plants are in even though you soak/handle them so frequently and they live inside under light on top of it all. Shows a great deal of full-on know how! That is for sure! Thanks for the comment on my new designed bush house. Have really enjoyed trying to get things to work better with the limited space I have. I really like the way it keeps us all so young by growing plants.